This mod will put tip messages about the game on loading screens. By default these messages are about vanilla mechanics, however other mods can easily add their own tips. Modpacks can also use this mod to add their own tips that are specific to their pack. If you are making a modpack, you can can add new tips by editing the config/tips.cfg file. Each line in the customTips section will be read as a new tip that can be displayed. This line of text will show up as a new tipe. This line of text is another seperate tip. If you are a mod author and would like to add tips to your mod, you can simply add mods.tips.modid.1=Your tip here. to your lang file. This mod can automatically detect when mods have defined custom tooltips and will load them without you having to add any code! Your mod can add as many tooltips as you want, just make a new entry to the lang file with an increased number at the end. Please note that the detection code will stop detecting new tips if the next number in the sequence can not be found. 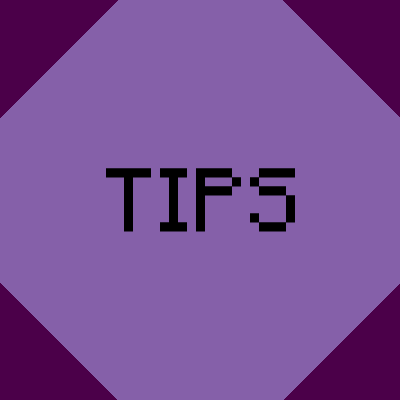 For example if you have tips for the numbers 1, 2, 4, and 5, only tips 1 and 2 will be loaded because tip 3 can not be found. Modpack authors can disable all tips detected this way by setting allowDefaultTips to false in the config file. Please refer to this section on GitHub for information about the code based modding API and what it can do. Would it be possible to have a tip also change the loading screen background? (I think it'll be pretty neat to be able to show a screenshot for each tip). So does this Replaces Justthetips and is it better in your opinion? I spoke with the author of JustTheTips before making this mod, and they had basically given up on their mod. That mod also has several bugs and incomplete features, especially when it comes to modpacks and mods adding their own tips. It currently only shows tips during in-game loading screens, such as loading a world, changing dimensions, or connecting to a server. Although displaying tips on the game loading screen is possible and something I want to look into adding. Timed rotation is also a planned feature.